For many in the school sector, the world of our TAFE colleagues can seem alien and strange. So to help increase understanding, here is a brief introduction to our public VET provider. The only constant in TAFE, and vocational education generally, is change. TAFE Queensland has been around for more than 135 years. Originally under the Department of Education, TAFE has been shunted between the Education and Employment portfolios several times over the years. In July 2014, TAFE Queensland (TQ) became a statutory authority and Central Queensland Institute of TAFE (CQIT) merged with Central Queensland University (CQU). Both were established under an act of Parliament. TAFE has a board appointed by the Training Minister, a CEO appointed by the board, and a regional structure and central office. General managers run six regions, based on Brisbane (Caboolture to Logan), Skillstech trades training in south east Queensland, Gold Coast, East Coast, North (Bowen and up) and South West (Bundamba west and up to Kingaroy). Regional HR teams function under devolution of responsibility, based on central policy. CQU is funded as the public VET provider in Central Queensland, with VET campuses at Rockhampton, Mackay, Emerald and Gladstone. It’s the first dual sector entity (VET and higher education) in Queensland.Currently, CQU has broadly the same VET conditions as before the merger. In TAFE/CQU, the QTU/AEU(Q) has coverage of VET educators (tutors, teachers and leading vocational teachers (LVTs)). This is shared with the Together union, which also represents “professional” staff in TAFE Queensland and at CQU. At CQU the NTEU represents academics and professional staff. In TQ, United Voice also covers support staff (along with Together), while QNU, CFMEU, ETU and other unions have a handful of members. Internally, the QTU represents TAFE with a member on Executive, along with designated positions on State Council. 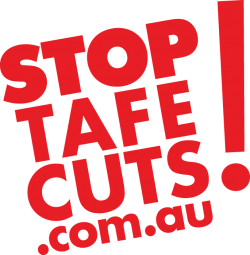 TAFE Council is the ‘area council’ for the division and TAFE Executive is drawn from its members. Funding is competitive, with links between dollars and delivery costs engineered out through market mechanisms. Dollars provided don’t match resources needed, with 100-hour units funded the same as a 20-hour unit. “Shaving” of hours results in work intensification, with teachers delivering more units for shorter times, with more content provided online. TQ and CQU juggle obligations as public providers while competing with shonky private registered training organisations (RTOs) that deliver inferior training. Many of these have taken huge profits before collapsing, leaving students half-trained and poorer. The VET Student Loan scheme replaced VET FEE-Help late in 2016. Changes to loan amounts and conditions have sent many private providers broke. In TAFE, the effect is mixed. Anecdotally, in mid-February, TQ enrolments in Diplomas and above were 3,000 less than the same time last year. The qualifications required by TAFE educators are set by national regulation, with further requirements specified in training packages. The minimum qualification needed to deliver and assess is Certificate IV in Training and Assessment (TAE). In Queensland, Cert IV allows teachers to progress to increment four of seven. Further progression relies on a recognised teaching qualification. The responsibilities of Cert IV qualified teachers are the same as higher qualified teachers. TAFE teachers and tutors must have qualifications and competence in their vocation, at least at the level being taught and assessed. Currency and competency standards in both vocation (trade) and profession (teaching) have been imported into the certified agreement from the national standards. The 10-day minimum PD entitlement per year can also be used for industry release. Leading vocational teachers (LVTs) are the senior teachers of TAFE, with a “soft” progression barrier being an undertaking to undertake additional tasks, which should not be so “frequent or onerous” as to detract from teaching. LVT provides pay levels rewarding experienced, credentialed educators for undertaking institute priority educational leadership duties. Negotiated within the team, there’s no quota or limit to LVT numbers. A bit like a HOD or HOC, team leaders and qualifications coordinators are being trialled at both TQ and CQU respectively. Team leaders are employed on common law contracts and it isn’t yet an award classification.